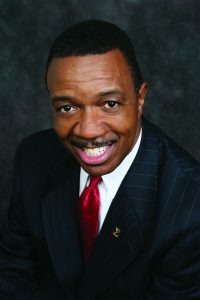 COLUMBUS, OHIO… Claflin University In Orangeburg, South Carolina has engaged Dr. Carter D. Womack, President and CEO of Leadership At Its Best, to speak during its annual student leadership conference. The usual well-attended conference will be held on March 22-23, 2019 on the university’s campus. Leadership At Its Best is an 11-year old Columbus, Ohio based company that provides Leadership, Life Skills and Professional Development Training Programs for college and university students and pre-college programs for students in public and charter school districts. The College and University Programs include the Student Institute Development and Engagement (SIDE). “I GOT This,” a program for African-Americans and Men of Color, which focuses on increased retention and professional development for Men of Color; Anti-Hazing Education and Awareness Lecture Series and working with Career Planning and Placement Offices on the effective operations to increase the placement of students. The pre-college K-12 programs focus on Self-Leadership, Organizational Leadership and Life Skills programs. Leadership At Its Best also offers programs to develop effective Student Councils; in addition to establishing Student Ambassadors and a program that focuses on African-American Males entitled BOLD – Black-male Orientation to Leadership Development. The BOLD programs focus on working with boys and young men on setting high expectations and making informed right choices. They must know that they were Born to WIN!